Some delegates shave their heads because they don’t have much hair left. Dels. 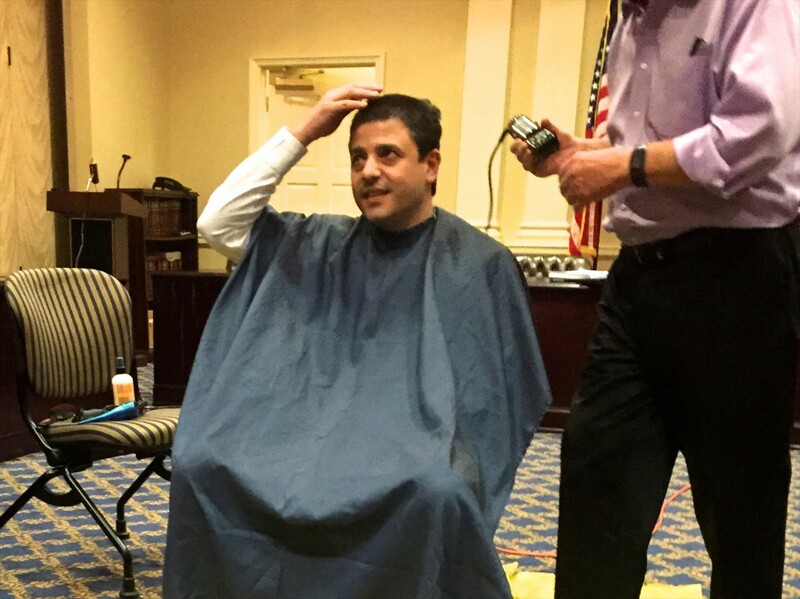 Sid Saab and Eric Luedtke shaved away their thick locks this session to raise over $4,000 in support of the St. Baldrick’s Foundation, which is dedicated to childhood cancer research. Luedtke was the first to go under the shears weeks ago, with Saab following suit on Wednesday. 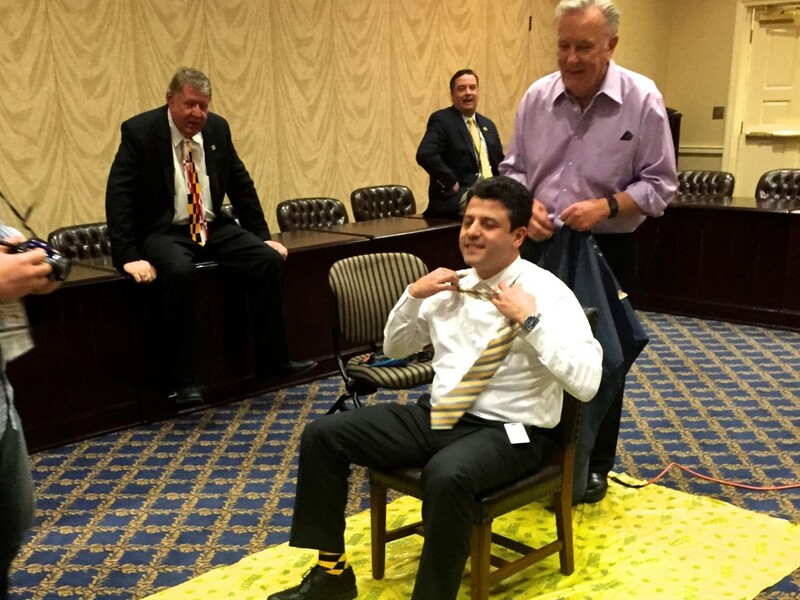 Saab turned one of the delegation rooms into a barbershop, where fellow legislators could stop by to witness. The delegates learned of the foundation through friends and after the multiple fundraisers held in Saab’s home-county. 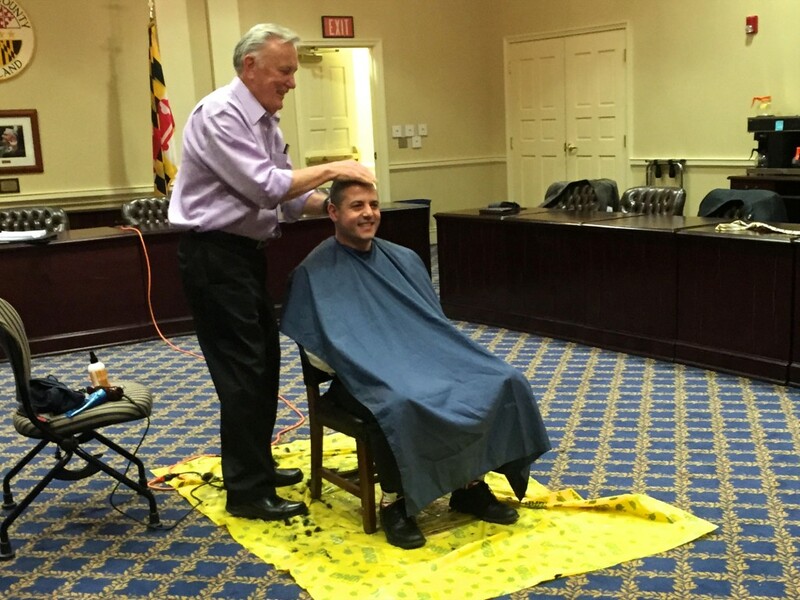 “Overall, with the two or three events in Anne Arundel County, they’ve raised hundreds of thousands of dollars,” said Luedtke. If you’d like to participate, you can sign up as a “shavee” in St. Baldrick’s fund raising event on April 18th, located at the Homewood Field in Baltimore. 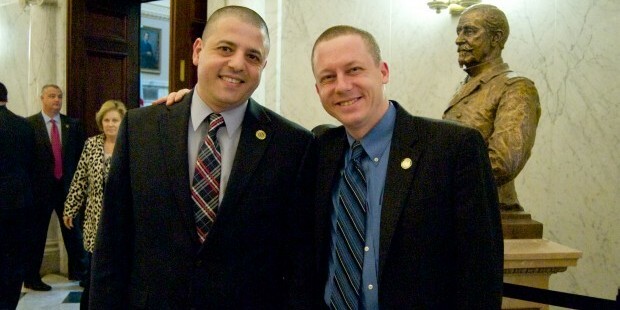 MarylandReporter.com is a daily news website produced by journalists committed to making state government as open, transparent, accountable and responsive as possible – in deed, not just in promise. We believe the people who pay for this government are entitled to have their money spent in an efficient and effective way, and that they are entitled to keep as much of their hard-earned dollars as they possibly can. Contact the author.